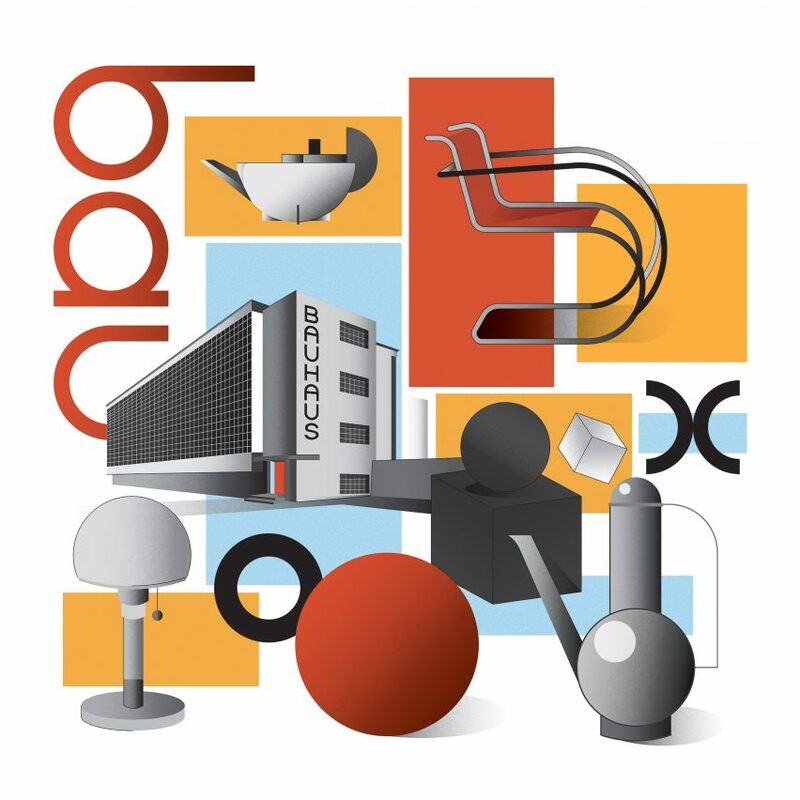 To conclude our Bauhaus 100 series, celebrating the centenary of the hugely influential design school, we round out everything you need to know about the Bauhaus, from A to Z.
Anni and Josef Albers are the Bauhaus' best-known couple. Both Albers' started as students and went on to become masters, with Josef becoming head of the glass workshop and Anni leading the weaving workshop. In glasswork and weaving respectively, both Josef and Anni created vivid explorations of geometry, colour and grids. Following the school's closure, the Albers' moved to America, where they were both prolific artists and educators until their deaths. One of the many heavyweights to be educated and taught at the Bauhaus, Hungarian designer Marcel Breuer is equally known for his architecture and his tubular steel furniture. At the design school, Breuer designed numerous pieces of furniture including the Model B3, better known as the Wassily Chair. Supported by the sale of his chairs, he set up an architecture practice, eventually moving to the United States where he designed over 100 buildings including the Metropolitan Museum of Art (now the Met Breuer).